Taylor Fladgate, Quinta de Vargellas, Vinha Velha 2004, is a very special vintage port from 2004 that is made in exceedingly limited quantities. Fantastically leathery and spicy with the most amazing nose redolent of lavender and eastern incense, this port is quite spectacular, a real show-stopper. Full of plums and cherries, violets, herbs and chocolate weaving together the rich and elegant layers of this exceptional port. The palate is medium-bodied, smooth and rounded with fruits to balance the great structure. Powerful yet elegant, this is a very special port. No wonder this is one of the rarest and most sought-after of all vintage ports. The 2004 Vinha Velha has a potent incense and lavender-scented bouquet that is heady and somehow Oriental. It is well-defined with real power. The palate is medium-bodied with fig jam and dates on the entry that segue into boysenberry and cassis on the mid-palate and a surprisingly open finish that suggests it is evolving a little quicker than I imagined two years ago. Still, this is a superlative Vinha Velha. 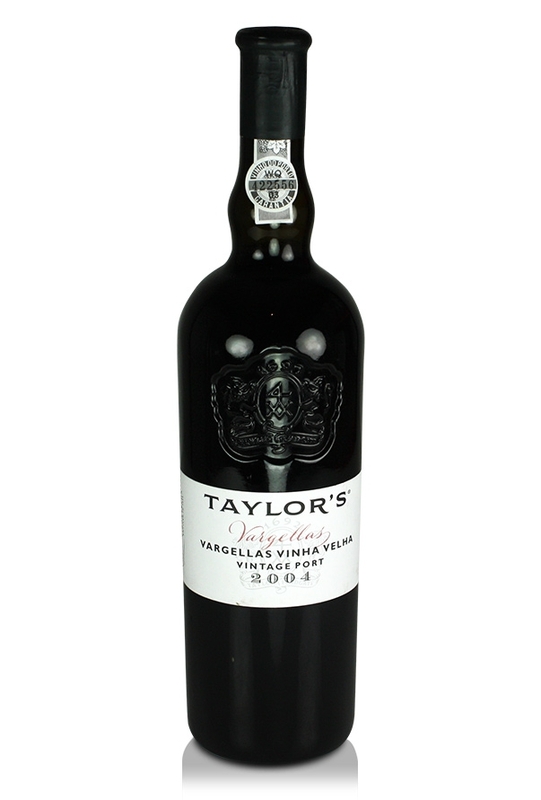 This port is produced from the fruit grown in the old walled terraces of the Vinha Velha vineyard at the Taylor Fladgate port house. These terraces represent the original part of the Vargellas estate and contain its oldest vines. The vineyard has been classified as World Heritage and constitutes one of the Douro Valley’s most impressive historic vineyards and the grapes from here used to make the Vinha Velha Vintage Port represent a very restricted selection of fruit from the very oldest vines. 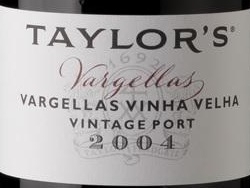 The Vargellas Vinha Velha Vintage Ports are the ultimate collector’s wines, the expression of an ancient terroir whose characteristics are unlikely ever to be reproduced.